Client: Biggs Cardosa Associates, Inc. 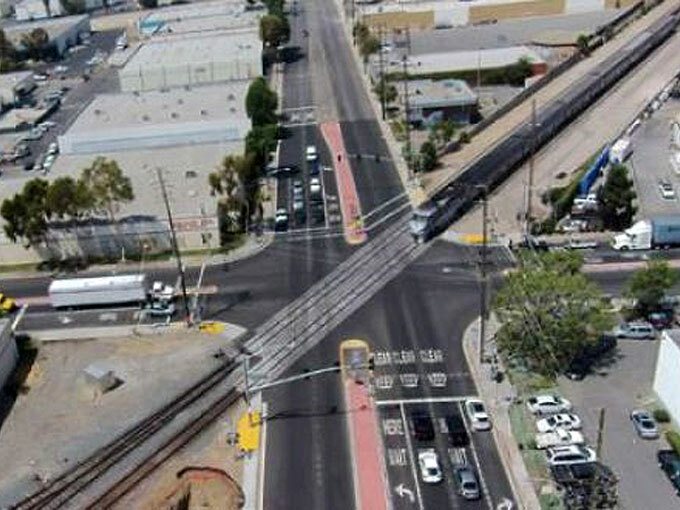 The Los Angeles County Metropolitan Transportation Authority (Metro) is partnering with the BNSF Railway, the City of Santa Fe Springs, and Caltrans Division of Rail to develop the grade separation of the intersection of Rosecrans Avenue and Marquardt Avenue and the BNSF right-of-way. The purpose of the grade separation project is to alleviate the current and potential traffic impacts and hazards posed by the existing at-grade rail crossing. With this project, a Los Angeles County railroad crossing that’s been called the most hazardous in California will receive a long-planned grade separation. The project will construct an overpass that will route car and truck traffic above the above the country’s second biggest passenger rail corridor. Currently, the tracks slice diagonally through the intersection of Rosecrans and Marquardt Avenues, a design that is particularly dangerous because drivers and pedestrians can’t always see oncoming trains. More than 31,000 vehicles and about 130 trains pass through the crossing every day, according to the Public Utilities Commission. The train volume is expected to increase to 180 by the end of the decade. The goals of the project include improving safety by separating pedestrians and vehicles from trains at the railroad crossing; enhancing mobility and quality of life for the community; and minimizing disruption to residents, businesses, and the community during construction. Civil Works is preparing the project drainage and stormwater designs including preparation of the drainage report.